The seeds originated in the state of California back in the 70’s. 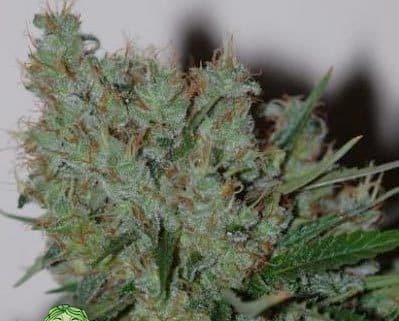 It is a derivative that resulted from the successful crossing of a Thai and Mexican Sativa with an Afghani indicastrain. It has THC level that lingers around the 12% to 21%. 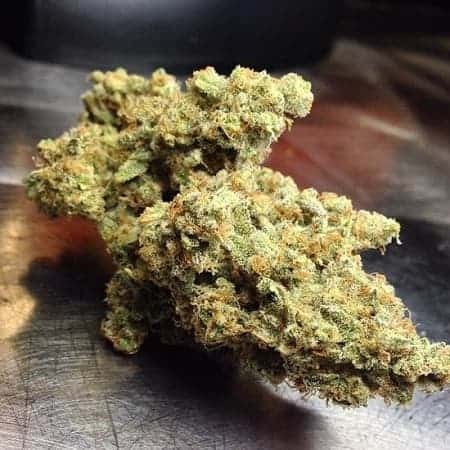 Hybrid with sativa-heavy attitude and its own set of indica based properties it gives a clear headed high minus the couch-lock ! How to Grow Trainwreck Pot Plants? Regular pruning of the plant is crucial to keep the harvest under control. 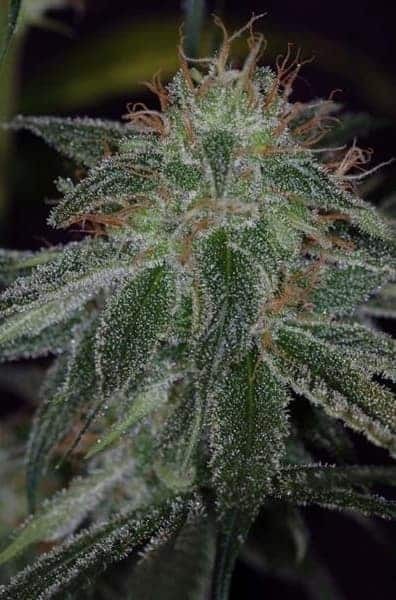 The resin levels of these plants are quite prominent with the glistening thick layer of trichomes covering up the plant body is a shining example of its potency.The flowering time lasts for about eight weeks. It is a versatile variant of weed that flourishes both indoors and outdoors. 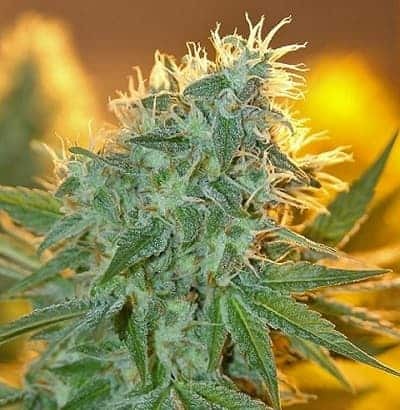 They tend to get a little bulky, a trait of itsgenetic makeup borrowed from its indica parents.Experts recommend growing these plants indoors to reduce the maturity period of the plants drastically! It is advised to grow this weed variant outdoors if you plan to harvest a huge batch. It is quite choosy about its temperature preference which lies in 65 to 85 degrees Fahrenheit range. 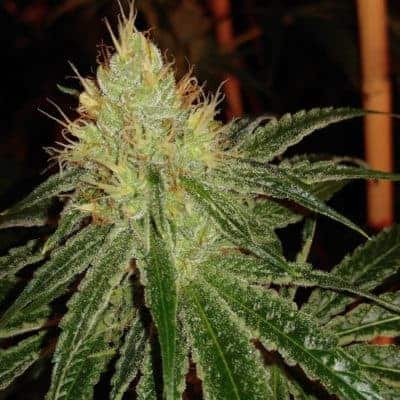 The bud quality and yield enhances if the plants are grown in a soil setup saturated with organic nutrients. By providing the plants with nitrogen, magnesium and calcium-rich nutrients, the bud quality and THC levels can be enhanced exponentially. It is advised to supply the plants with bat guano and worm castings, especially during the flowering phase. 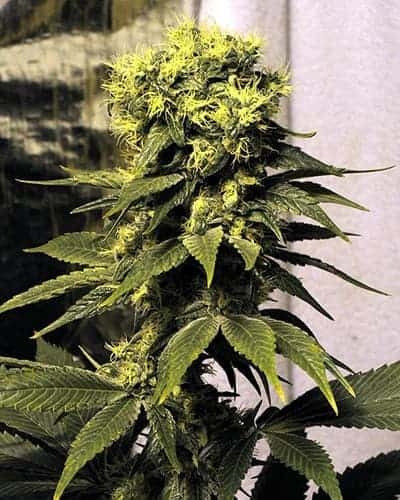 Popular for its vigorous rate of growth and high yields, if regular pruning is not administered, these plants tend to get a little unruly by growing sideways!Make sure that there is plenty of water and nutrient resources are available at hand to meet theneeds of this thirsty and hungry strain! It is a dank weed all around! It is known to light up the room or ambiance with its prominent aroma resembling the forest of cedar and pines with slight undertones of the citrus kind! The aroma also has a dash of spice mixed with a little bit of sweetness. Light up and you’d experience a sharp taste of lemons with some underlying pungent existence. When exhaled, it is cut short by an earth-likeflavor that tends to linger in the tongue for some time.